We invite you to NAMIReads, a conversation and meet & greet with book author Andrea Petersen about her struggles living with anxiety. 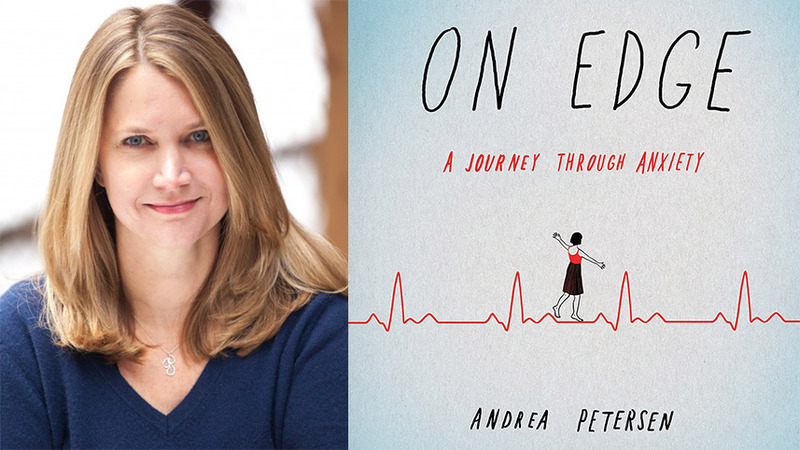 Andrea is the author of the book “On the Edge“. Do you love stories? Personal stories? About overcoming challenges? This Thursday, March 15, 2018 @ 7:00 pm the Glenview Public Library and NAMI presents Andrea Peterson to share her personal story of dealing with anxiety and panic disorders. Signed copies of On Edge: a Journey through Anxiety will be available for purchase. A celebrated science and health reporter offers a wry, bracingly honest account of living with anxiety. A racing heart. Difficulty breathing. Overwhelming dread. Andrea Petersen was first diagnosed with an anxiety disorder at the age of twenty, but she later realized that she had been experiencing panic attacks since childhood. With time her symptoms multiplied. She agonized over every odd physical sensation. She developed fears of driving on highways, going to movie theaters, even licking envelopes. Although having a name for her condition was an enormous relief, it was only the beginning of a journey to understand and master it—one that took her from psychiatrists’ offices to yoga retreats to the Appalachian Trail. Woven into Petersen’s personal story is a fascinating look at the biology of anxiety and the groundbreaking research that might point the way to new treatments. She compares psychoactive drugs to non-drug treatments, including biofeedback and exposure therapy. And she explores the role that genetics and the environment play in mental illness, visiting top neuroscientists and tracing her family history—from her grandmother, who, plagued by paranoia, once tried to burn down her own house, to her young daughter, in whom Petersen sees shades of herself. Brave and empowering, this is essential reading for anyone who knows what it means to live on edge.